you must make a donation at a level that includes a ticket to the dance. Deadline has for donations has passed. 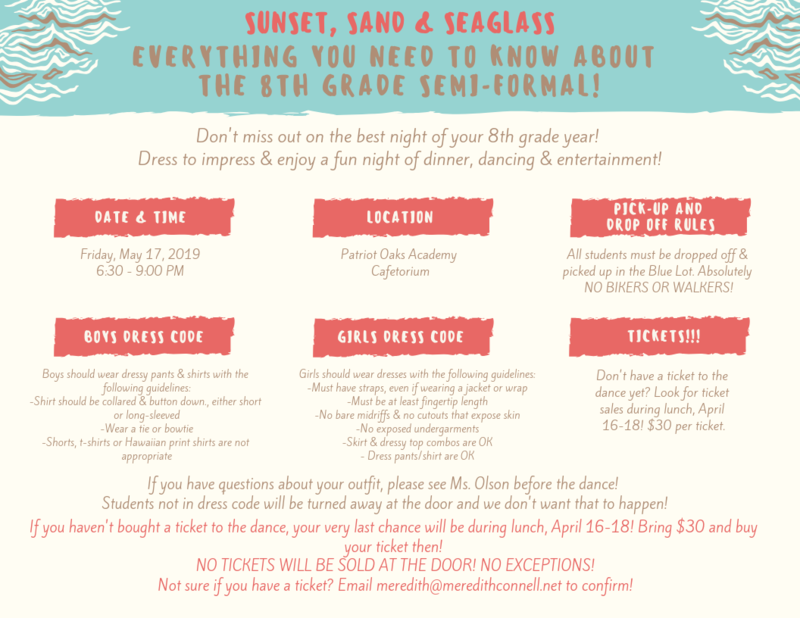 Check back here frequently for all the information related to 8th grade celebrations! Meredith Connell (meredith@meredithconnell.net) or Heather West (heather_m_west@hotmail.com). so your participation is vital to its success!